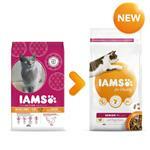 Indulge your cat with these special recipes, all made with the finest ingredients and cooked gently to seal in the natural flavours. Simply wonderful. 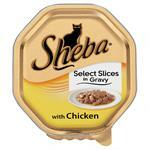 A complete and balanced food for adult cats, made with chicken. 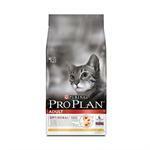 A complete pet food for all cats. 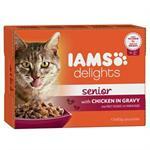 Iams Senior is rich in chicken and a complete pet food for cats 11+ years. 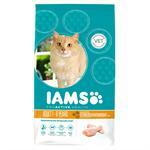 Natures Menu 100g single serving natural cat food pouches provide cats with a premium 70% meat menu in 3 flavours they love. 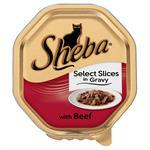 For adult cats with a tendency to be overweight. 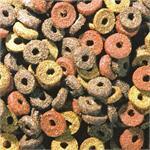 Lowered fat levels to help control weight. 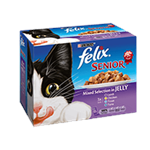 Felix senior pouch is specially formulated for senior cats over7 years old. 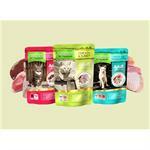 Each selection pack contains 3*lamb, 3*tuna, 3*rabbit and 3*trout pouches. 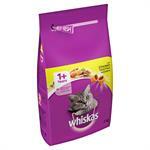 Whiskas Cat Food is a 100% complete diet for cats with no artificial colours or flavours it now has a specifically designed formulation that supports healthy teeth and a texture that provides a gentle abrasive effect to help clean teeth. 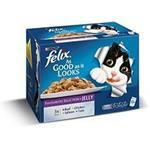 Specifically tailored for senior cats 7 years onwards.